Overhead door tracks might get twisted, dented, and bent. And when they do, the door won’t move right. Why deal with such serious problems when we provide quick garage door tracks repair in Humble, Texas? Our tech will come to your property as quickly as possible and equipped to fix any problem with the tracks. Do you have trouble with the vertical or horizontal tracks? Are the curved tracks damaged? Let our experts take care of any section of your garage door tracks today. At our Garage Door Repair Humble company, we service tracks quickly. If there is any problem with these parts, the door will jam or make an awful noise. What can happen to tracks? Tracks fall out of alignment usually when their fasteners are loose. Our tech will put the misaligned tracks back to their original position, make sure they are aligned, and tighten the fasteners. They also get damaged if they are hit with a heavy object. Rest assured that we offer bent garage door track repair Equipped with the appropriate tools, our techs can fix bent and dented tracks properly. Deep dents and scratches will affect the galvanized surface of tracks. If tracks get rusty or are too damaged to be properly fixed, they should be replaced. Our tech will bring the right garage door tracks replacement and do the job on the spot. 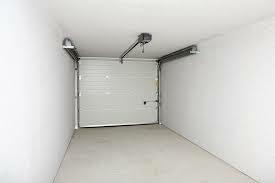 We do any required garage door tracks repair quickly. If tracks are somehow damaged, the rollers won’t be able to slide smoothly. They will make a noise and might come off causing the door to jam. That’s why we repair garage door tracks and rollers in Humble as quickly as possible. Our techs can replace the rollers too. Tracks & rollers go hand in hand. If one of the two is damaged, the other will be affected too. Call us to maintain them. Tracks must remain clean and properly lubricated for the rollers to slide nicely up and down but the track fasteners and the condition of the tracks must also be checked regularly so that you won’t deal with bent track problems. Call us today to cover your garage door tracks repair Humble needs.